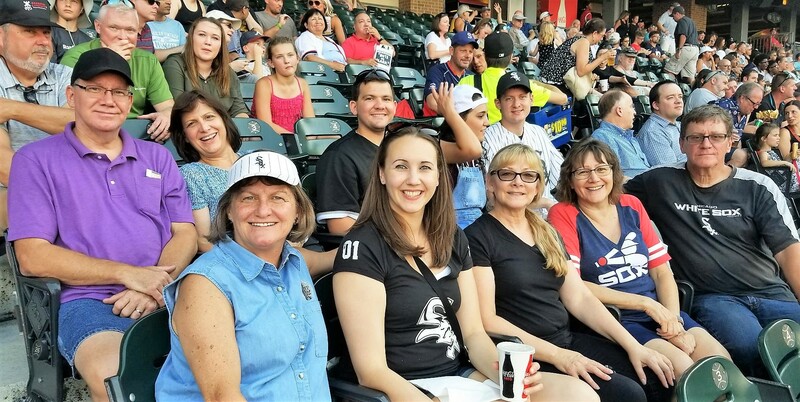 IAFP baseball fans and friends celebrated family medicine and a White Sox 9-6 win under warm skies with lots of action on the field. The event raised over $2,100 for the Foundation. Big thanks to our "Heavy Hitter" and "Long Distance Fan" Sharon Smaga, MD who drove up from Carbondale and brought a group of 15 people to the game. Check out this fun 45-second video with the highlights! Block off the dates on your calendar and join us over the border in Madison, Wisconsin November 9-11 for the 7th annual Family Medicine Midwest Conference - "Advocacy for Health." Online registration is open, the schedule of presentations is posted, the plenary presentations are in place and the Welcome Workshops will provide a great place to start your FMM weekend. Learn more and register today! Full conference and one-day registration options available to fit your schedule. Would you be interviewed about learning and change? 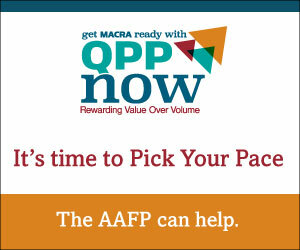 The California Academy of Family Physicians, Interstate Postgraduate Medical Association and Healthcare Performance Consulting are conducting an educational needs assessment related to physician learning and change. As part of this research, Healthcare Performance Consulting (HPC) is conducting telephone interviews with family physicians. The data from these interviews will be used only to develop high-quality Continuing Medical Education (CME) and practice improvement. We will collect personal information for payment purposes and to comply with the CMS Open Payment reporting requirements. Please use this link to begin the interview process. Do you have Medicaid stories to share? A group of Illinois healthcare advocates in partnership with Protect Our Care Illinois is launching a campaign called #IamMedicaidIL. This campaign, modeled after the successful I am Medicaid campaign in Alabama, is an effort to educate Illinoisans about what Medicaid means for our state and our residents. The campaign will host a central website where community members can share their experience with Medicaid and highlight what this program has done for them. Individuals can share their experiences by leaving video, photos, and blurbs on this site. How Can You Help? If you have any patients that may be willing to do a short 30 second video of what Medicaid means to them, please let them know! Link to this #IamMedicaid sign with instructions for videos. SB 2332, which would make 21 the legal age for purchasing all tobacco and nicotine products, arrived on Governor Rauner's desk on June 28 and he has until Aug. 27 to sign it. IAFP co-signed a joint letter from health advocates encouraging him to sign it. Members are encouraged to Tweet @GovRauner or contact his office by phone or email. IAFP co-hosted an update webinar with ISMS and ICAAP. The recording is available here (please note you will need to enter your name and email address to view the recording). You can download the slides here. 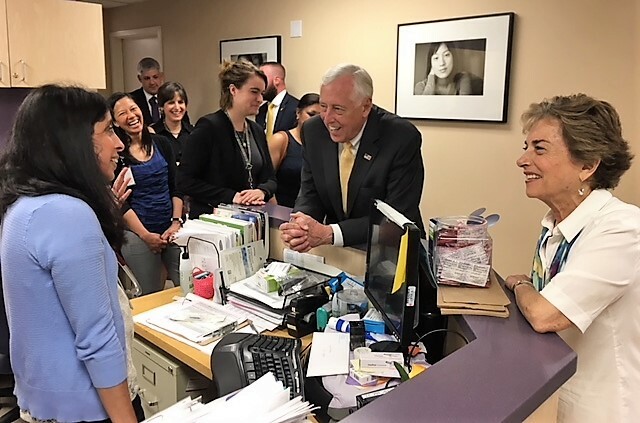 Northwestern McGaw Family Medicine Residency at Humboldt Park in Chicago welcomed two leaders from the U.S. House of Representatives, Illinois Congresswoman Jan Schakowsky (D-9) and House Minority Whip Steny Hoyer (D-Maryland) spent a day at Erie Family Health Center. In late June, the House of Representatives advanced a large, comprehensive bill, the SUPPORT for Patients and Communities Act (HR 6). The U.S. Senate will move its own proposals soon. Legislators need to better understand that family physicians play an important role in addressing the opioids crisis. To facilitate this, the AAFP has launched a storytelling project to learn about the challenges physicians face and hear recommendations for addressing the opioid crisis in their communities. The storytelling project will run through the end of August. Contact Shelby King by email with questions. Molly Hillig Rodriguez, RN, BSN, of Empower Yourself Coaching and Lucy Zielinski of Lumina Health Partners will present best practices for solo/small group practices on teaming and leadership development. The Obesity workgroup of the IAFP Public Health Committee is pleased to have Timothy Fignar, MD, owner of Fignar Family Practice in Connecticut to present his best practices for weight loss. Your input about Health IT in Illinois is critical to determining the extent of health information technology use by providers and hospitals in Illinois. Survey topics include EHR adoption, utilization and functionality, as well as Health Information Exchange participation. The results will help with current and future support and resources for providers, practices and hospitals in Illinois. The Centers for Medicare/Medicaid (CMS), the Illinois Department of Healthcare and Family Services (HFS), and the Illinois (ILHITREC) and Chicago (CHITREC) Health IT Regional Extension Centers will use this information. Adolescent Health fact sheets in English and Spanish. Illinois Public Health Association Purchasing Consortium View a flyer with more information. We love to share good news about our members! Keep us posted in case we missed anything!